Proven designs and top quality is what we can offer for your existing parts or your new parts. Let our experience make for better performing refractory parts and molten metal systems. We constantly test and improve our materials and processes to be able to provide top quality and manufacturability. Permatech will take a comprehensive look at your manufacturing environment to determine not only the right material for the job but also whether you can improve your total cost of ownership through a design or engineering change to the refractory shapes. We have the capability to manufacture pre fired crack-free 1-piece shapes of all magnitudes. 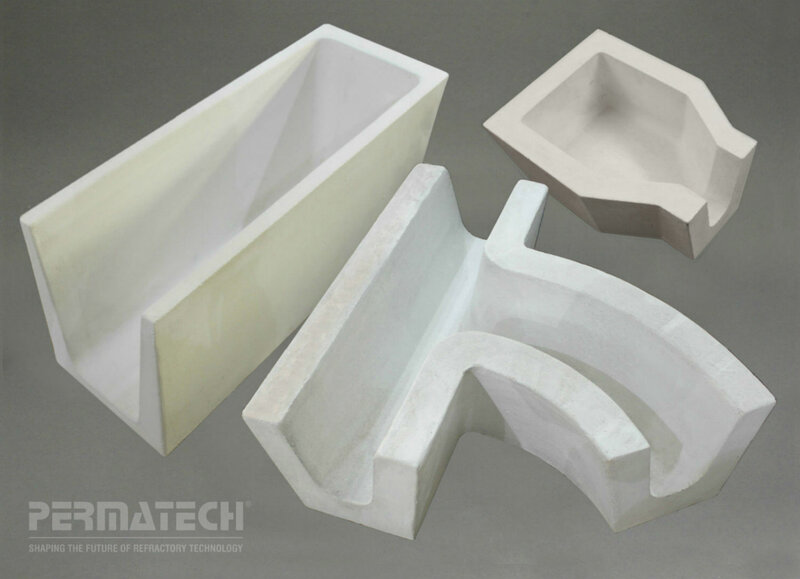 All shapes, regardless of size, are manufactured to exact customer requirements for refractory composition, dimensional tolerance, and surface cosmetics. 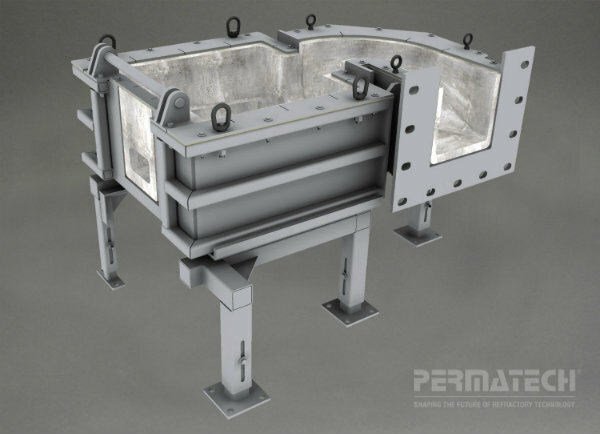 PERMATECH’s expertise in refractory formulations and casting technology offer new and improved solutions for your all of your refractory needs. Being able to utilize the Permatech proprietary blends along with virtually all other castables in the market allows for the perfect material to be custom selected for the each job, optimizing performance and total cost of ownership to the customer.